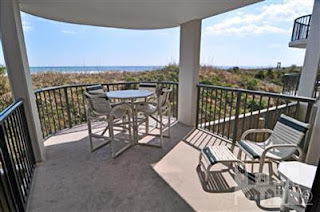 Hardee Hunt and Williams specializes in Wrightsville Beach real estate and we are excited to offer two oceanfront condos in Duneridge Resort on Lumina Ave. The other condo is Unit 2104. This fully furnished Wrightsville Beach oceanfront condo offers an oceanfront master suite plus access to an oceanfront pool, private tennis court, the clubhouse, and private beach access. Duneridge Resort is located on the quiet northern side of Wrightsville Beach past Johnny Mercer Pier. It's an ideal location for a full time residence or beachfront vacation home. It comes with an amazing coastal furniture package plus standard appliances including a washer and dryer. Take a Virtual Tour of 2400 North Lumina Avenue, Unit 2104. Contact Hardee Hunt and Williams regarding this or any other Wrightsville Beach Property: 800.852.1605.